They buffed aldous stacks back to eight XD - General Discussion - Mobile Legends: Bang Bang - Powered by Discuz! Welp didn’t see that coming lol. Right after less people started to ban him. Anyway, I still cannot play well using Aldous. Hard to last hitting for me. Huh. That is actually a very good marketing tactic! Selling Freya for 599 diamonds and not battle point when you could just get her by recharging the lowest diamond available(50 diamonds). Hanabi is the bait cause she can be bought with battle point and battle point doesn’t earn Moonton $$$. 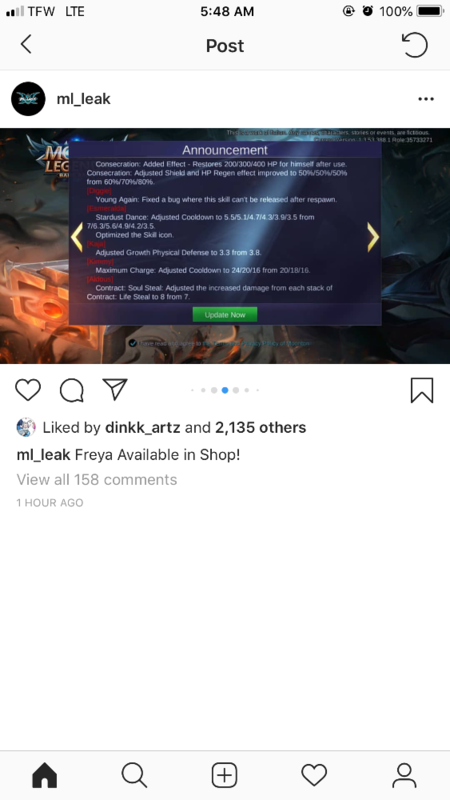 When people chose Hanabi, they have no choice but to top up diamond to get the 599 diamond freya. Win-win for Moonton, I like this idea. Actually aldous is not so good pick right now. May be official want him to bring back him to current meta. Nope, I totally say that he is not a BAD PICK, It's just that there are more OP Heroes than him that you can say this thing. Remove these heroes and Aldous will be back to #1 no doubt.